We got a brand-new gas grill, thanks to my mother-in-law, and we grilled for four nights straight. 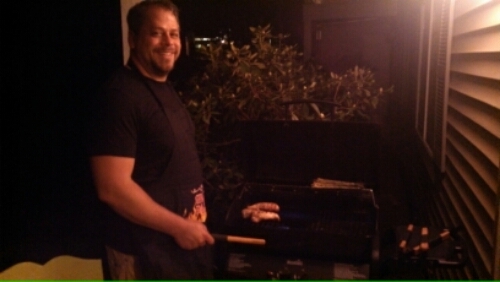 If you recall reading this blog last year, you will notice that my husband and I loooooooove grilling. The only reason we stopped is because we moved and left our old charcoal grill behind (charcoal grill spending a lot of time in a moving POD – didn’t sound like a good idea). I miss our good ol’ charcoal grill, and the gas grill takes some getting used to (umm medium rare beef burgers the other night…yeah…that happened), but this is the first time my husband’s grilled on a gas grill, so I am sure that with our insatiable love of grilling, he and I will get the hang of it soon! 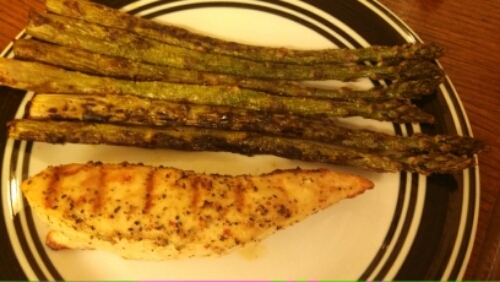 However, when we grill asparagus, we place it in a dish, drizzle a teeny bit of olive oil on it, shake some Adobo seasoning on it, mix well, and grill for about 5-10 minutes, or until cooked (and slightly darkened). Yum! My husband told me to “be generous” with the Adobo, so the first night it was a bit overkill (apparently I was too generous), but we got it right the second time around. Stay tuned for some great new grilled burger recipes!! In the mood for actual grilled chicken recipes?